Designer Lingo: File Types Explained — MKW Creative Co. Someone along the way has probably asked you for a very particular file type, and you may have answered "It's all greek to me." If that's the case, then this blog is for you. Here's a basic rundown (+ some very ornate illustrations because I needed to practice some typography) on the most common graphic design related file types (note: there are a bajillion different kinds of digital files, these are just the cluster that I use most often and that you'd get if you did a brand design project with someone like m'self). The first thing you should know is that there are two types of images: Raster Images and Vector Images. Raster images are images made up of tiny dots or pixels. If you have ever zoomed in on a photograph (or looked really close at your tv) for example, you will see the image is made up of tiny squares of color, which when organized together, make up the image. Photographs are perfect examples of raster images. Vector images, on the other hand, are made up of mathematical equations to complete solid shapes of color. Vector images are scalable, meaning they will maintain the amount of detail regardless of the size in which it is displayed. Logos, illustrations and fonts are all examples of vector images. These are raster images, most likely photographs. They have set dimensions and are not infinitely scalable, but have a set number of pixels, which is why when you try to make them giant, they end up grainy or ‘pixelated’. A jpeg can display millions of colors, unlike vector images. This is a vector image that allows for scalability and also for transparent backgrounds. 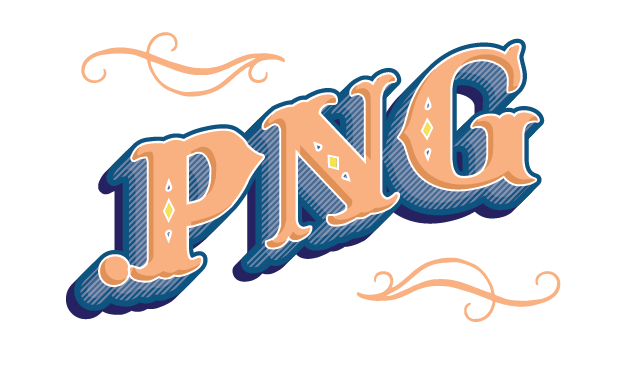 You'll want to use mostly pngs when you do website design or anything that needs digital transparency. Great for logos, social media overlays, snapchat filters, etc. 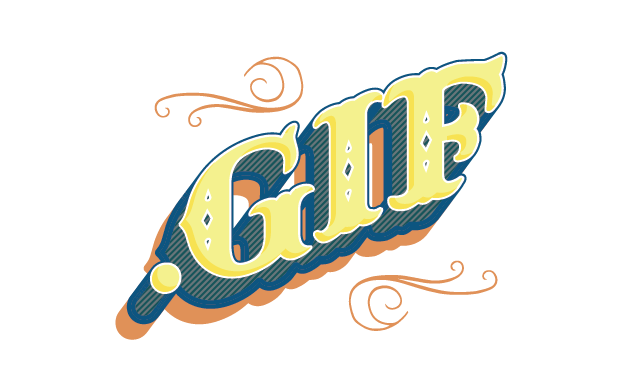 There’s great debate over whether it is pronounced “gif” (like gift, no t) or “jif” (like jiffy peanut butter). Either way gif files are great for digital. Their small file size and limited number of colors make them great for social media. Gifs also give you the opportunity to create animations of text or graphics, giving you more creative flexibility. Hate to break it to you though, if you print a gif, it will not animate. We have to wait for the Harry Potter magic to come to fruition on that one. A PDF is a standard file for most print jobs. PDFs allow you to lock content so that design elements are not manipulated in transit. 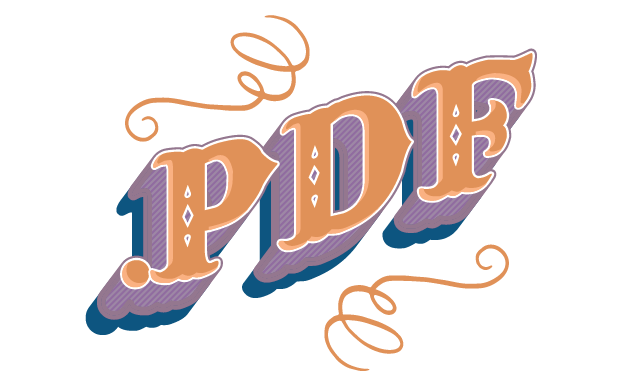 PDFs are great for web distribution of longer format documents, guides, contracts, etc. This is the file name for a Photoshop file. 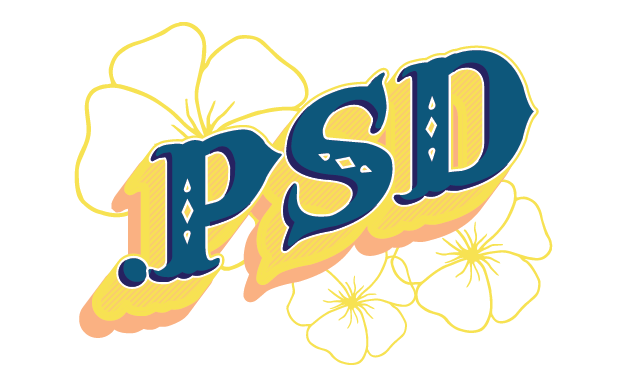 If you do not have photoshop, you won’t be able to open a psd. Photoshop files are great for editing photographs and manipulating them, but not so much for anything else. An .ai file is an adobe illustrator file. If you have one of these, you will most definitely want to share them with your *trusted creative team. Illustrator files are completely manipulable which is great if you need to make edits to a logo, illustration, infographic, etc. However, don’t send an .ai to someone who doesn’t have illustrator or to anyone you may not trust with your logo. Sending an .ai to someone who is not a designer is like sending your resume to an employer in a google doc. Make sure your content is locked up so your logo doesn’t get tinkered with. Another great Adobe program file, an .indd is an inDesign document. inDesign is great for building multi-page, text heavy documents, brochures, books, guides, worksheets, etc. Again if you don’t have the adobe programs, you won’t be able to open this file type.